What is good health? The absence of disease? What is wellness? The ability to function optimally? These are some of the things I am going to discuss in this blog, as well as give you some simple tips to achieve health and wellness in your life. I always wanted to be a nurse since a very young age and I was so thankful to get to achieve that goal. I always thought it was a privilege to help others at those times when they really needed someone. It became apparent to me not far into my career that many of my patients didn’t always want to or know how to take good care of themselves. Was this just part of their personality, was it partly due to how they were raised, or was it just a lack of desire? On my journey to figuring out wellness for patients I decided to start with myself. I wanted to see what brought me good health. At the time I didn’t really understand how good health and wellness of mind, body, and spirit are two different things. So I did the usual. I exercised a lot, ate as healthy as I knew how, got sleep when I could; after all I worked the night shift. Then I went through a stressful time in my life and low and behold my health was not as good as it once was. What is this all about, I wondered. I mean I did take Psych 101, and we talked about it a lot in school in different classes but really stress was the trigger for this to be happening? Since then I have been on a journey to try and figure out what true wellness is. Oddly, I don’t think it’s the absence of disease. You can have a health condition and still be really healthy. Wellness is actually the ability to live in such a way that promotes health. Webster defines it as: the quality or state of being in good health especially as an actively sought goal (lifestyles that promote wellness). So how do I do this? Does it need to be hard? Was it all the things my grandmother taught me? Well, yes, it is many of the things my grandmother taught me. She had many life experiences. She lived on a farm, so she watched the animals and what they did to be well. We are designed like many of them, but now we drive around in cars, have electricity and can stay up all night. So now what to do? We can’t go back to the primitive days but many are trying to at least make others aware of those days by calling their attention to the paleo lifestyle. Have you heard of it? It means eating a paleo diet and living more like our ancestors, or at least being aware of how our bodies like to naturally be, and doing what we can to mimic that lifestyle. Example would be low lights, amber preferred, after the sun goes down, much like the campfire that would have been around for our ancestors. Use low lights in the evening in your house. Dim your computer light and/or your phone if you can. The blue light from electronics can really negatively affect our circadian rhythm. Relax before bed. Have a bedtime routine that helps your body and mind get ready for sleep. There are many things you can do. One quick example is meditation. Even just 5 minutes before bed can have a big impact. Sit or lie down and just watch your breath. Stop the thoughts and just watch. Drink at least 16-32 ounces of water when you get up. You are usually dehydrated when you wake up, so start your day with water not coffee, which can be very dehydrating. Have some kind of movement in your day. Nurses on the floors get plenty of this. Those at a desk might want to ask if you can switch to a standing desk. I have one and love it. You don’t have to exercise for an hour to get your exercise for the day. Just do what you can to move through the day. It all adds up. Decide ahead of time what you are going to eat. Have a plan and try to stick to it. Don’t get derailed by what someone else brought in to share in the lounge at work. It may look good but if it is unhealthy, stick to your plan or healthy food and your body will thank you. Double up on your veggies at each meal, unless you have already done so. That means at least one and a half or two cups of veggies. There are some great ones, so try a new one this week when you go to the store. Make connections stronger with those you love. Call a friend, send a nice message to someone to let them know you are thinking of them. I know you do nice things for your patients all day, but this is more about you and your support system. Feel that connection and it can really give you a peace of mind, just like our ancestors when they felt safe in their tribe. They knew they had each other and that really matters to our psyche. Connect to your higher power as often as possible. Life is full of many ups and downs but when you have this connection you can be unshakeable. Remember that what you focus on you get more of. This has been a favorite saying of mine for a while. I don’t always focus on what I know I should, but I try to get back to the positive as quick as possible. As you have probably experienced working with a big group of people, negativity can bring everyone down. Focus on the good in the situation. There always is some! Most of all, love yourself. Remember that you are enough. This may be hard to say or doesn’t feel right or feels weird. But love yourself, especially when you make mistakes. Also try to focus on the fact that you are enough and can handle anything that comes your way in your nursing career and your life. If you do all 10 of these items—really do them don’t just think about them or read them—you will be well on your way to a life full of wellness. Wellness is all about the mind, body, and spirit! Remember to keep all these in mind as you continue on your journey to bring wellness to yourself and your patients. About the author: Hello my name is Jan Vander Luitgaren. I am from the Indianapolis, Indiana area. I have been a RN since 1996. I have working in many different areas of inpatient and outpatient hospital setting. I currently work PRN at an outpatient oncology clinic and have been doing oncology for the last 10 years. 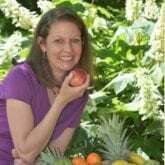 Over the last few years I developed a passion to want to start my own wellness related business so that I could help people be as healthy as they could be and maybe not have to meet them at the cancer center. So I have started Jan Wellness Coach. It is a local and online business that provides programs, products, education, inspiration, and most of all community support for people on their wellness journey. I have a website at janwellnesscoach.com and a Facebook page and also promote my programs locally at several community centers. I am also pairing with my brother who is a Chiropractor to start working on a coaching membership program for his patients. It is an exciting time to be in the wellness arena. I am hoping to bring great information to the ANA audience so that nurses can stay as healthy as possible and take care of themselves as they try to take good care of others. I hope my blog articles serve you in some way.